The EOC EU Office is the representation of the European Olympic Committees (EOC) and other major sport organisations at national, European and international level to the European institutions. These partners include both Olympic (e.g. IOC, EOC, National Olympic Committees (NOCs) and Olympic sport federations) and non-Olympic (e.g. national sport confederations and non-Olympic sport federations) sport organisations. 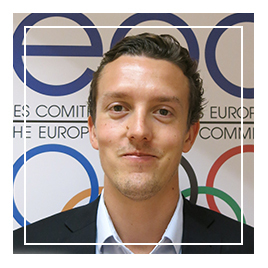 In this regard, the EOC EU Office is the voice of the Olympic Sports Movement in Brussels, promoting the interests of 61 umbrella organisations, from Europe and beyond, and representing more than 70 million people.